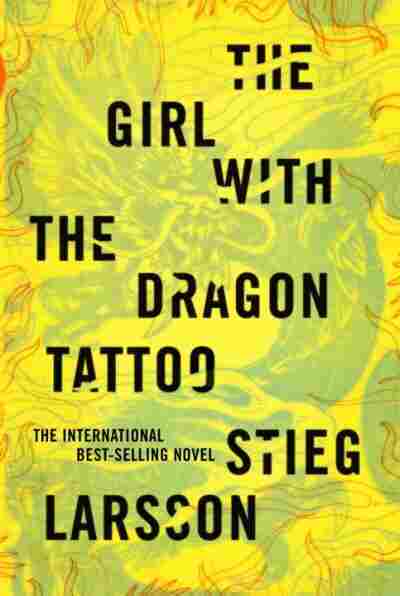 Super-Smart Noir With A Feminist Jolt An anti-social Goth gal-pal adds fun and a bracing feminist perspective to Stieg Larsson's witty, hard-boiled tale, The Girl With The Dragon Tattoo. The hard-boiled mystery is as American as apple pie ... poisoned apple pie, that is, with a steel file baked into the filling. It's a literary genre that was born on the mean streets of early 20th century Los Angeles and San Francisco, sunlit places where, as the sour saying goes, a person could "rot without feeling it." But one of the most intriguing aspects of hard-boiled history is how the form has been enthusiastically embraced by writers outside of the United States as a literary tool to explore the skeletons buried deep in their own particular patches of the world. In fact, for the past decade or so, Sweden has been a popular pick for crime capital of the literary world, thanks to Henning Mankell and his fellow practitioners of noir on ice. 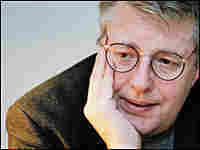 The newest name in mystery to emerge out of the frozen north is that of the late Stieg Larsson. His debut novel, The Girl With the Dragon Tattoo, was a blockbuster when it was published in Europe, selling an estimated 2 million copies. Now, an English language version, translated by Reg Keeland, has just been published here. A veteran mystery reader could spot the clues to this novel's runaway popularity as easily as Poe's detective, Auguste Dupin, spotted that purloined letter. The Girl With the Dragon Tattoo is a super-smart amalgam of the corporate corruption tale, legal thriller and dysfunctional-family psychological suspense story. It's witty, wrenchingly violent in a few isolated passages and unflinching in its commonsense feminist social commentary. The social vulnerability of women is the underlying Mystery with a capital "M" here; specifically the abuse — psychological and sexual — that's perpetrated against young and dependent women. Very late in the novel, one of our main characters, a reporter named Mikael Blomkvist, asks a serial murderer whose victims are often female emigrants to Sweden the simple question: "Why?" The monster calmly answers, "Because it's so easy." Clearly, The Girl With the Dragon Tattoo isn't geared toward those readers who favor gentle Agatha Christie cozies, but its plot does consciously bow to Christie and her locked room/isolated island brand of puzzle. Here's the bare-bones summary: Blomkvist is a man down on his luck. He's just been convicted of libeling a corporate mogul and he's been sentenced to a jail term plus hefty fines. Out of the blue, Blomkvist receives an offer he can't refuse from a rival industrialist. Henrik Vanger is in his 80s and has been tormented for the past 40 years by the mysterious disappearance of his grand-niece Harriet. On the day of Harriet's disappearance, the island where the Vangers lived was blocked off from the mainland by a truck fire on the connecting bridge. How, then, did Harriet, or her corpse, vanish? What also torments Vanger is the fact that for the next four decades, he's received a disturbing birthday gift in the mail each year — a framed pressed flower — the same gift Harriet would give him when she was young. Vanger tells Blomkvist that if he moves to the island and works for a year re-investigating Harriet's disappearance, he'll receive not only a huge salary, but also inside information that will clear him of the libel charges. Blomkvist bites. Fortunately, through a turn of events too deliciously complicated to go into here, he's aided in his investigation by a 24-year-old brilliant computer hacker named Lisbeth Salander. Salander is a pierced, tattooed, painfully thin Goth with major attitude problems. She's also the gal pal you want on your side when the creeps slither out from under their rocks. Larsson's multi-pieced plot snaps together as neatly as an Ikea bookcase, but even more satisfying is the anti-social character of Salander, whose movements are described as "quick and spidery." Certainly the utopian allure of traditional detective fiction had something to do with the omnipotent Sam Spades and Phillip Marlowes who made criminals quake and femme fatales swoon. The liberating fantasy of Salander, at least for this female reader, has something to do with watching a woman operate who doesn't give a darn whether she pleases people or not. Salander doesn't smile, knock back boilermakers or eat moose burgers. She's not out to win friends or votes. But I'm betting that this offbeat bad girl will win a lot of readers' affections. It happened every year, was almost a ritual. And this was his eighty-second birthday. When, as usual, the flower was delivered, he took off the wrapping paper and then picked up the telephone to call Detective Superintendent Morell who, when he retired, had moved to Lake Siljan in Dalarna. They were not only the same age, they had been born on the same day–which was something of an irony under the circumstances. The old policeman was sitting with his coffee, waiting, expecting the call. "What is it this year?" "I don't know what kind it is. I'll have to get someone to tell me what it is. It's white." "Just the flower. The frame is the same kind as last year. One of those do-it-yourself ones." "Same as always, all in capitals. Upright, neat lettering." With that, the subject was exhausted, and not another word was exchanged for almost a minute. The retired policeman leaned back in his kitchen chair and drew on his pipe. He knew he was no longer expected to come up with a pithy comment or any sharp question which would shed a new light on the case. Those days had long since passed, and the exchange between the two men seemed like a ritual attaching to a mystery which no-one else in the whole world had the least interest in unravelling. The Latin name was Leptospermum (Myrtaceae) rubinette. It was a plant about ten centimetres high with small, heather-like foliage and a white flower with five petals about two centimetres across. The plant was native to the Australian bush and uplands, where it was to be found among tussocks of grass. There it was called Desert Snow. Someone at the botanical gardens in Uppsala would later confirm that it was a plant seldom cultivated in Sweden. The botanist wrote in her report that it was related to the tea tree and that it was sometimes confused with its more common cousin Leptospermum scoparium, which grew in abundance in New Zealand. What distinguished them, she pointed out, was that rubinette had a small number of microscopic pink dots at the tips of the petals, giving the flower a faint pinkish tinge. Rubinette was altogether an unpretentious flower. It had no known medicinal properties, and it could not induce hallucinatory experiences. It was neither edible, nor had a use in the manufacture of plant dyes. On the other hand, the aboriginal people of Australia regarded as sacred the region and the flora around Ayers Rock. The botanist said that she herself had never seen one before, but after consulting her colleagues she was to report that attempts had been made to introduce the plant at a nursery in Göteborg, and that it might, of course, be cultivated by amateur botanists. It was difficult to grow in Sweden because it thrived in a dry climate and had to remain indoors half of the year. It would not thrive in calcareous soil and it had to be watered from below. It needed pampering. The fact of its being so rare a flower ought to have made it easier to trace the source of this particular specimen, but in practice it was an impossible task. There was no registry to look it up in, no licences to explore. Anywhere from a handful to a few hundred enthusiasts could have had access to seeds or plants. And those could have changed hands between friends or been bought by mail order from anywhere in Europe, anywhere in the Antipodes. But it was only one in the series of mystifying flowers that each year arrived by post on the first day of November. They were always beautiful and for the most part rare flowers, always pressed, mounted on watercolour paper in a simple frame measuring 15cm by 28cm. The strange story of the flowers had never been reported in the press; only a very few people knew of it. Thirty years ago the regular arrival of the flower was the object of much scrutiny–at the National Forensic Laboratory, among fingerprint experts, graphologists, criminal investigators, and one or two relatives and friends of the recipient. Now the actors in the drama were but three: the elderly birthday boy, the retired police detective, and the person who had posted the flower. The first two at least had reached such an age that the group of interested parties would soon be further diminished. The policeman was a hardened veteran. He would never forget his first case, in which he had had to take into custody a violent and appallingly drunk worker at an electrical substation before he caused others harm. During his career he had brought in poachers, wife beaters, con men, car thieves, and drunk drivers. He had dealt with burglars, drug dealers, rapists, and one deranged bomber. He had been involved in nine murder or manslaughter cases. In five of these the murderer had called the police himself and, full of remorse, confessed to having killed his wife or brother or some other relative. Two others were solved within a few days. Another required the assistance of the National Criminal Police and took two years. The ninth case was solved to the police's satisfaction, which is to say that they knew who the murderer was, but because the evidence was so insubstantial the public prosecutor decided not to proceed with the case. To the detective superintendent's dismay, the statute of limitations eventually put an end to the matter. But all in all he could look back on an impressive career. He was anything but pleased. For the detective, the "Case of the Pressed Flowers" had been nagging at him for years–his last, unsolved and frustrating case. The situation was doubly absurd because after spending literally thousands of hours brooding, on duty and off, he could not say beyond doubt that a crime had indeed been committed. The two men knew that whoever had mounted the flowers would have worn gloves, that there would be no fingerprints on the frame or the glass. The frame could have been bought in camera shops or stationery stores the world over. There was, quite simply, no lead to follow. Most often the parcel was posted in Stockholm, but three times from London, twice from Paris, twice from Copenhagen, once from Madrid, once from Bonn, and once from Pensacola, Florida. The detective superintendent had had to look it up in an atlas. After putting down the telephone the eighty-two-year-old birthday boy sat for a long time looking at the pretty but meaningless flower whose name he did not yet know. Then he looked up at the wall above his desk. There hung forty-three pressed flowers in their frames. Four rows of ten, and one at the bottom with four. In the top row one was missing from the ninth slot. Desert Snow would be number forty-four. Without warning he began to weep. He surprised himself with this sudden burst of emotion after almost forty years. The trial was irretrievably over; everything that could be said had been said, but he had never doubted that he would lose. The written verdict was handed down at 10:00 on Friday morning, and all that remained was a summing up from the reporters waiting in the corridor outside the district court. Carl Mikael Blomkvist saw them through the doorway and slowed his step. He had no wish to discuss the verdict, but questions were unavoidable, and he—of all people—knew that they had to be asked and answered. This is how it is to be a criminal, he thought. On the other side of the microphone. He straightened up and tried to smile. The reporters gave him friendly, almost embarrassed greetings. "Let's see . . . Aftonbladet, Expressen, TT wire service, TV4, and . . . where are you from? . . . ah yes, Dagens Nyheter. I must be a celebrity," Blomkvist said. "Give us a sound bite, Kalle Blomkvist." It was a reporter from one of the evening papers. Blomkvist, hearing the nickname, forced himself as always not to roll his eyes. Once, when he was twenty-three and had just started his first summer job as a journalist, Blomkvist had chanced upon a gang which had pulled off five bank robberies over the past two years. There was no doubt that it was the same gang in every instance. Their trademark was to hold up two banks at a time with military precision. They wore masks from Disney World, so inevitably police logic dubbed them the Donald Duck Gang. The newspapers renamed them the Bear Gang, which sounded more sinister, more appropriate to the fact that on two occasions they had recklessly fired warning shots and threatened curious passersby. Their sixth outing was at a bank in Östergötland at the height of the holiday season. A reporter from the local radio station happened to be in the bank at the time. As soon as the robbers were gone he went to a public telephone and dictated his story for live broadcast. Blomkvist was spending several days with a girlfriend at her parents' summer cabin near Katrineholm. Exactly why he made the connection he could not explain, even to the police, but as he was listening to the news report he remembered a group of four men in a summer cabin a few hundred feet down the road. He had seen them playing badminton out in the yard: four blond, athletic types in shorts with their shirts off. They were obviously bodybuilders, and there had been something about them that had made him look twice—maybe it was because the game was being played in blazing sunshine with what he recognised as intensely focused energy. There had been no good reason to suspect them of being the bank robbers, but nevertheless he had gone to a hill overlooking their cabin. It seemed empty. It was about forty minutes before a Volvo drove up and parked in the yard. The young men got out, in a hurry, and were each carrying a sports bag, so they might have been doing nothing more than coming back from a swim. But one of them returned to the car and took out from the boot something which he hurriedly covered with his jacket. Even from Blomkvist's relatively distant observation post he could tell that it was a good old AK4, the rifle that had been his constant companion for the year of his military service. He called the police and that was the start of a three-day siege of the cabin, blanket coverage by the media, with Blomkvist in a front-row seat and collecting a gratifyingly large fee from an evening paper. The police set up their headquarters in a caravan in the garden of the cabin where Blomkvist was staying. The fall of the Bear Gang gave him the star billing that launched him as a young journalist. The downside of his celebrity was that the other evening newspaper could not resist using the headline "Kalle Blomkvist solves the case." The tongue-in-cheek story was written by an older female columnist and contained references to the young detective in Astrid Lindgren's books for children. To make matters worse, the paper had run the story with a grainy photograph of Blomkvist with his mouth half open even as he raised an index finger to point. It made no difference that Blomkvist had never in life used the name Carl. From that moment on, to his dismay, he was nicknamed Kalle Blomkvist by his peers—an epithet employed with taunting provocation, not unfriendly but not really friendly either. In spite of his respect for Astrid Lindgren—whose books he loved—he detested the nickname. It took him several years and far weightier journalistic successes before the nickname began to fade, but he still cringed if ever the name was used in his hearing. "Oh come on, think of something yourself. You usually do." His tone was not unpleasant. They all knew each other, more or less, and Blomkvist's most vicious critics had not come that morning. One of the journalists there had at one time worked with him. And at a party some years ago he had nearly succeeded in picking up one of the reporters—the woman from She on TV4. "You took a real hit in there today," said the one from Dagens Nyheter, clearly a young part-timer. "How does it feel?" Despite the seriousness of the situation, neither Blomkvist nor the older journalists could help smiling. He exchanged glances with TV4. How does it feel? The half-witted sports reporter shoves his microphone in the face of the Breathless Athlete on the finishing line. "I can only regret that the court did not come to a different conclusion," he said a bit stuffily. "Three months in gaol and 150,000 kronor damages. That's pretty severe," said She from TV4. "Are you going to apologise to Wennerström? Shake his hand?" "So you still would say that he's a crook?" Dagens Nyheter. The court had just ruled that Blomkvist had libelled and defamed the financier Hans-Erik Wennerström. The trial was over and he had no plans to appeal. So what would happen if he repeated his claim on the courthouse steps? Blomkvist decided that he did not want to find out. "I thought I had good reason to publish the information that was in my possession. The court has ruled otherwise, and I must accept that the judicial process has taken its course. Those of us on the editorial staff will have to discuss the judgement before we decide what we're going to do. I have no more to add." "But how did you come to forget that journalists actually have to back up their assertions?" She from TV4. Her expression was neutral, but Blomkvist thought he saw a hint of disappointed repudiation in her eyes. The reporters on site, apart from the boy from Dagens Nyheter, were all veterans in the business. For them the answer to that question was beyond the conceivable. "I have nothing to add," he repeated, but when the others had accepted this TV4 stood him against the doors to the courthouse and asked her questions in front of the camera. She was kinder than he deserved, and there were enough clear answers to satisfy all the reporters still standing behind her. The story would be in the headlines but he reminded himself that they were not dealing with the media event of the year here. The reporters had what they needed and headed back to their respective newsrooms. 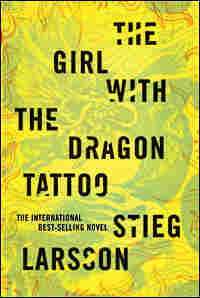 Excerpted from The Girl With the Dragon Tattoo by Stieg Larsson Copyright © 2008 by Stieg Larsson. Excerpted by permission of Knopf, a division of Random House Inc. All rights reserved. No part of this excerpt may be reproduced or reprinted without permission in writing from the publisher.